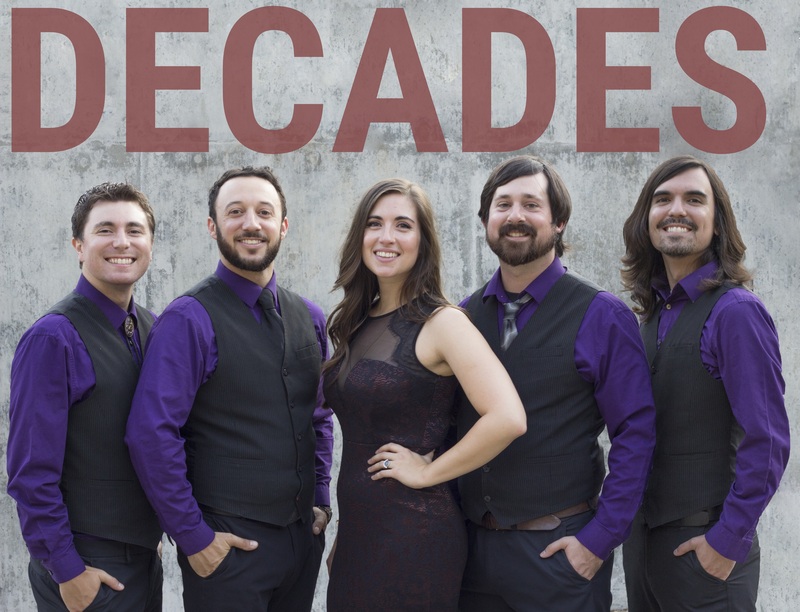 Since 2010, Decades (based in Chico, CA) has been working (and rocking) around the clock to learn material spanning from the 1940’s (Glenn Miller’s Orchestra’s “In The Mood”) to today (Bruno Mars & Mark Ronson’s “Uptown Funk”). The band has played over 700 shows all along the West Coast, earning its place as one of California’s most in-demand bands. Throughout a single show, they’ll swap between several instruments (including saxophone, harmonica, penny whistle, ocarina to name a few) and belt out four-part harmonies, showcasing each members’ musical versatility, while continuing to put on a highly energetic live show.